Why Supreme court is delaying the Crypto matter ? How long we have to wait ? We are back with another update of Supreme court hearing on R.B.I ban on September 11.In this blog we will discuss what happened on the day and what to expect now. We all were waiting long for the September 11 hearing of supreme court on crypto blanket ban but as usual we have to wait more.There has been 3-4 hearing passed since now in this matter but nothing came out as expected.This time supreme court has even postponed the hearing for two days due to some lengthy cases in between and then finally scheduled the case hearing on 18 September i.e. Tuesday. WHEN WILL WE HAVE FINAL VERDICT ? 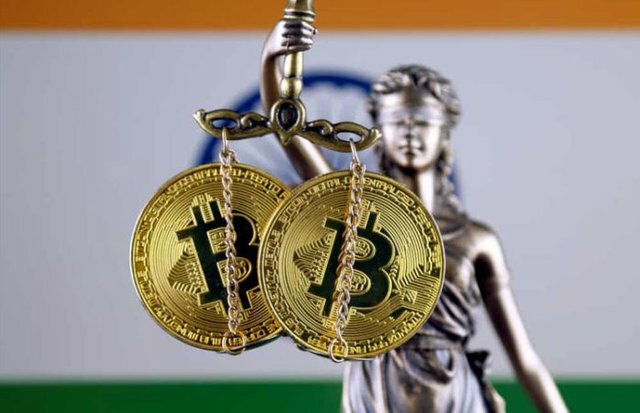 This is difficult to say that when the supreme court will give final call on this matter.But the september 11 hearing which is now scheduled to september 18 will be very crucial for the case.The two prominent judge bench of supreme court will decide the fate of crypto in India. Let us tell you one more thing now Chief Justice of India is not looking into the matter but two other judges will preside over.On September 11 all eyes were on the supreme court decision but it first seemed that court will look into the matter after lunch but later called the day off.Same happened the next day too, bench couldn't get their hands in between to the matter due to many cases in between. Finally today court asked to entertain the matter on September 18 , Tuesday. WHAT R.B.I SAID TO THE COURT ? R.B.I in its latest application told the Supreme court that it can't approve cryptocurrencies as a legal tender or form of payment.The stand of banking governing body is clear from last 5 years on virtual currencies.Now only Supreme Court can ask banks to deal again with crypto exchanges in India again by destroying R.B.I ban. Wait and more wait this is all we are getting from last few months.Indian crypto users and exchanges are suffering due to R.B.I ban for too long.Now Supreme Court verdict is the only hope left.Lets wait for the next hearing on tuesday and see what comes out. Don't forget to comment down your views on R.B.I blanket ban. This is how indian judiciary works... It may take another 20 years to come with the verdict. Lets hope for the best my friend ! Thank You! Bro... For Sharing This With Us & Have a nice day. We have to wait for few days, finger crossed ! Actually Indian judiciary is overloaded by huge cases, which are waiting for their decision or it will not wrong to say even waiting to be listed. I am sure that on even 18th there will be next date. Are agree with me Mr. Sumit ? What is a Bitcoin ETF?Useful information for bitcoin users. Let's wait for the court's decision, as of now waiting is the only weapon we have unless Mr Sunney Deol interrupts the situation. Yes, for sure my friend ! @moneyguruu yhe to wohi bat ho gaye " Tarik pe tarik, Tarik pe tarik"
I am from India, why SC is taking so much long time ? I think because of next year elections SC or Govt. put pending on the decision of crypto. Was Just kidding 😂 no hard feelings. Thanks to sharing information about crypto. Thanks, keep supporting...we are writing to motivate you guys only !